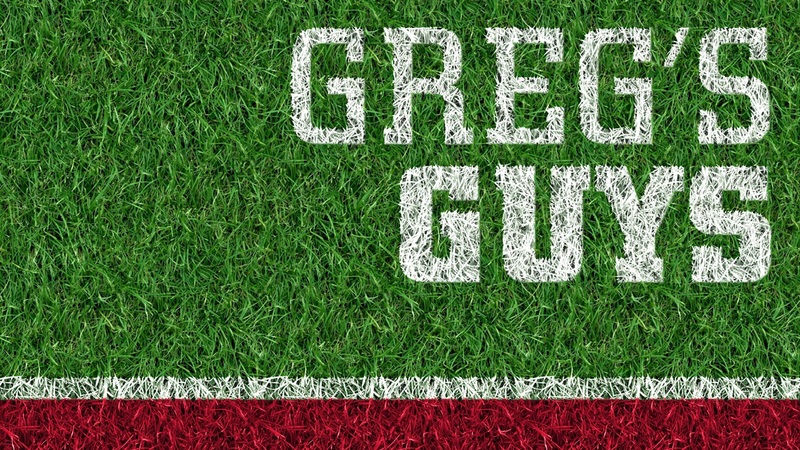 The January edition of Greg’s Guys is here! It’s the first one of the new year and there will be plenty of movement now that we have had the early signing period taking some valued prospects off the board. Also, Nebraska did gain commitments from three of the players on the last list. Now that we have had a little time to see how the staff recruits, the picture of needs to finish the 2018 class is becoming clearer. Here’s my big board as we start to head towards the traditional signing day. There is still a huge need for a hybrid 3-4 outside linebacker that can go get the quarterback in new defensive coordinator Erik Chinander’s defense. Gerald certainly fits the bill and has an explosion off the edge that is not currently possessed by any player on the current roster. The JUCO product could see a lot of early playing time. The staff is fighting to get him on campus for an official visit. His size (6-5, 187) and blazing speed will make him a matchup nightmare in college. In this offense, he could be a major asset. He is one of the few uncommitted recruits the previous staff was in on that the new staff has stayed on hard. As noted above, Nebraska still desperately needs to add push rushers to this roster. Jean-Baptiste has good size (6-5, 200) and speed off the edge to blossom into a feared Big Ten sack master. He has an official visit locked in Jan. 12 that looms large for the Huskers. Nebraska has two defensive backs in the class but they will need at least one more and Jones seems to be at the top of the list. He is a very physical player that projects as a safety in college. The 4-star prospect took his official visit to Nebraska and bonded with the other players who were also on the visit, notably defensive end signee Tate Wildeman. Carson has long been linked to Nebraska though he seemed to fall off the radar under the previous staff. Frost and Chinander have made him a priority and are rapidly making up ground. He would be a tremendous pick-up and a great prospect to pair with Tate Wildeman. Nebraska will likely host him in January for an official visit. Jones is a dynamic athlete that Nebraska is trying to flip from Vanderbilt. He could play either side of the ball in college but Nebraska is looking at him to play wide receiver. Nebraska will host him Jan. 12 for an official visit that could trigger a flip. The former Notre Dame commit is a hot commodity after backing off his pledge to the Irish. Porter has speed to burn which of course is welcome in this offense. He received an in-home visit with Troy Walters before the dead period and Nebraska is working to finalize an official visit. The big man (6-6, 320) would be a great addition. Hall is a very smart kid and plays with a mean streak on the field. He has confirmed with me that he is taking a visit on Feb. 2, the last weekend to host visitors before signing day. He probably projects more as a guard than tackle but he has enormous potential. Henry is an electric runner who would provide the Huskers offense with another dynamic player in the backfield. Frost likes to use multiple running backs in his offense and Henry would provide a home run threat needed in the offense. Watt is an under-the-radar prospect that would be a very welcome addition to the Nebraska wide receiver room. He is a quick receiver who does a great job of tracking the ball in the air and making difficult catches look routine. He is scheduled for a January official visit.